Streusel lovers alert! 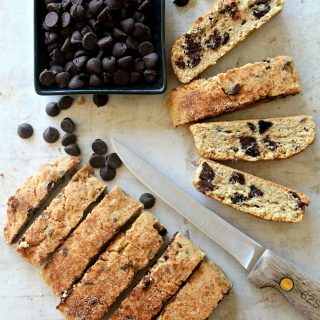 These are THE cookies for anyone who eats the streusel crumbs off a coffee cake before eating the cake. These are THE cookies for anyone who thinks streusel is the best part of fruit crumbles and pies. 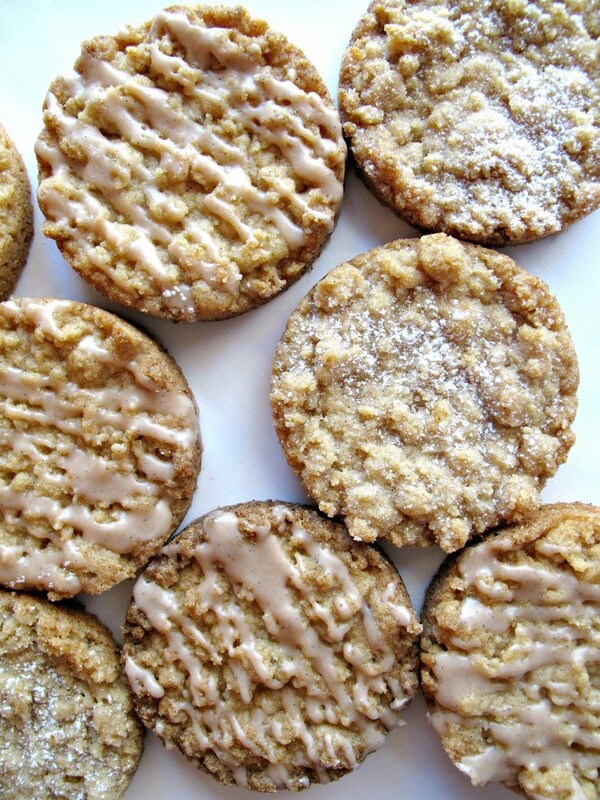 Cinnamon Streusel Cookies are solid streusel; buttery, cinnamon crumbs baked into crunchy circles or wedges. Flipping through “Baking for All Occasions” by Flo Braker, my eye was drawn to the word “Crumb” in a cookie title. I don’t know why I hadn’t paid attention to this recipe before. I am definitely one of those people who think streusel is the best part of any dessert they adorn. I had no idea these buttery, sweet crumbs could be used to make fabulous cookies. I immediately baked some. I ate some. I upped the cinnamon some. I can now say with conviction that drizzled with icing, or sprinkled with confectioner’s sugar, streusel most definitely can be made into fabulous cookies! This recipe makes a big bowl of cinnamon scented streusel crumbs. 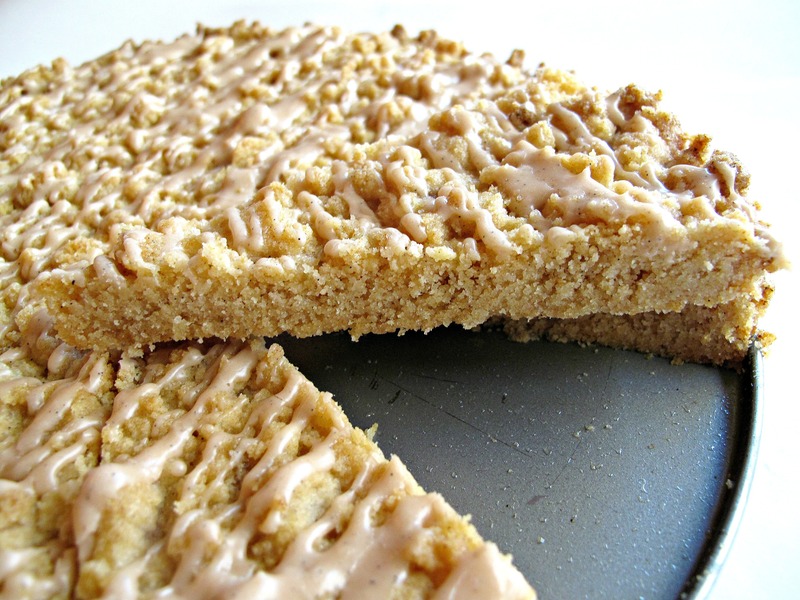 The crumbs are baked in a round springform pan, then cut into wedges like shortbread, or broken into chunks like peanut brittle. 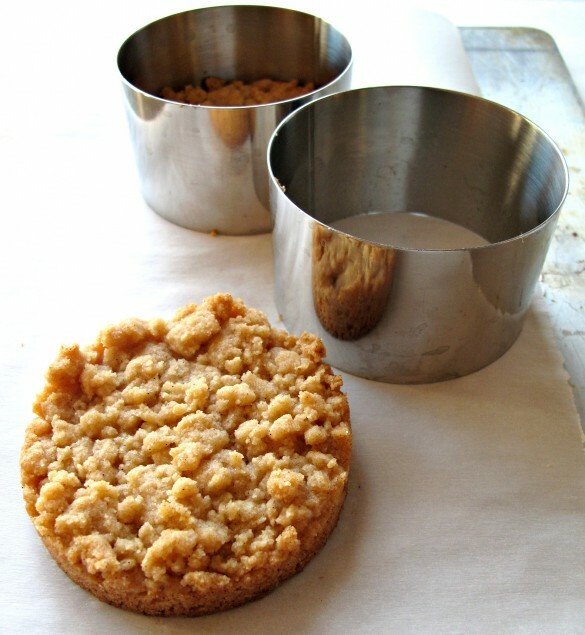 For circle streusel cookies, the crumbs are be baked in the cups of a cupcake pan or in cylinder cake molds. I also baked a batch of Cinnamon Streusel Cookies in colorful paper baking cups with sealable plastic lids, that I found at Home Goods. A stack of two or three cups tied with a ribbon makes a pretty presentation for Cinnamon Streusel Cookies in care packages or as gifts. Many of my favorite dessert recipes include streusel. 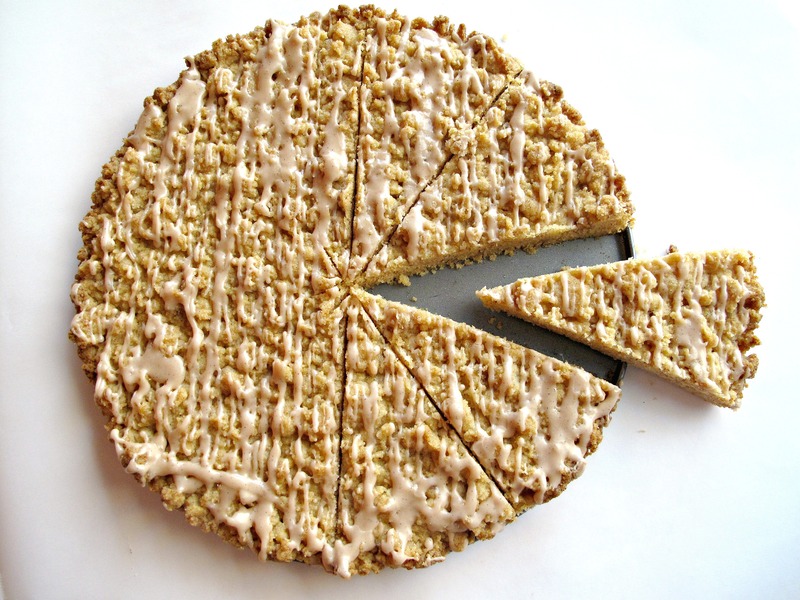 Some of my favorite bloggers have created my favorite streusel-ful desserts. The ratio of crumbs to cake is perfection on Monica’s Super-Streusel Muffins, Reeni’s Double Crumb Streusel Coffee Cake, and Shannon’s Family NY Crumb Cake. Tricia’s scrumptious Blueberry Crumble Pie is covered in crunchy streusel. Ashley tops fruity Pear Bread with cinnamon-oat streusel. 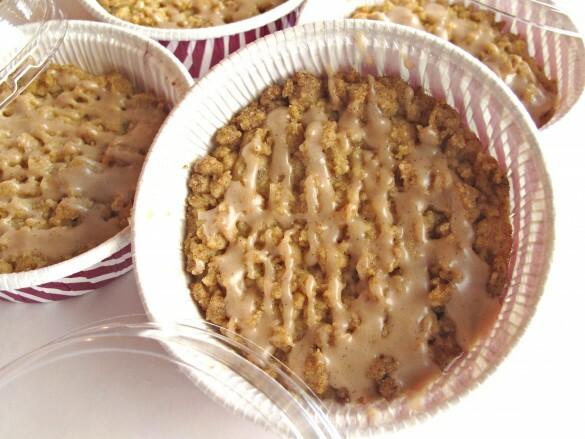 Cindy uses brown sugar and oats in the streusel that covers her Peach Berry Crisp. Chris’ bright red Cherry-Berry Cobbler has toffee in the streusel. Liz bakes a beautiful Czech fruit and cheese pastry topped with, you guessed it, streusel! To this list of streusel all-star recipes, I am adding Cinnamon Streusel Cookies, which go beyond the need for perfect ratio because their goodness is pure streusel and nothing else! 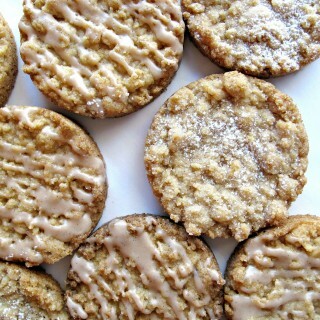 When stored in an airtight container at room temperature, Cinnamon Streusel cookies stay fresh for up to one week. Savor the cinnamon crunch with a quiet cup of tea or celebrate their deliciousness on a holiday cookie platter. 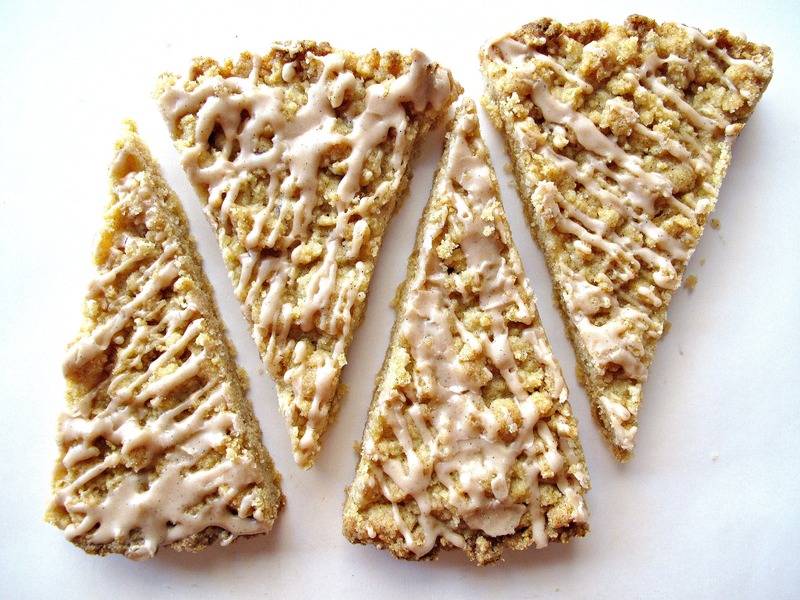 However you share them, streusel lovers everywhere will be thrilled at first bite. 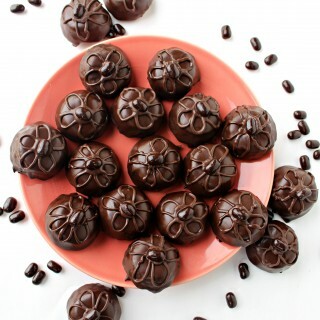 Preheat oven to 350° F. Round cookies can be made with circle molds or cupcake pans. Wedge or chunk cookies can be made with a 9-inch round springform pan. The pans do not require lining or greasing. Melt the butter in a bowl in the microwave, then set aside to cool. In a large mixing bowl, whisk together the flour, semolina, sugar, baking powder, salt, and cinnamon. Stir in the vanilla and the melted butter. Rub the ingredients together with your fingers to form streusel crumbs, pea-size and smaller. Sprinkle the streusel evenly over the bottom of the springform pan or divided evenly into the bottoms of the cupcake pan cups or circle molds. Bake for 12-18 minutes until light golden. Smaller cookies will bake faster than the 1 large springform pan. Optional: If using glaze, in a small bowl stir together confectioner’s sugar, milk, cinnamon, and vanilla. Sprinkle cooled cookies with confectioner’s sugar or drizzle with glaze. Allow glaze to firm before storing. Double wrap columns of 2-3 cookies in plastic wrap. Place cookie columns in an airtight container or freezer weight ziplock bag with no wiggle room. Use plenty of paper or other soft stuffing around the cookies in the mailing box to keep the cookies from moving (and breaking) in transit. I know, Liz! Can you believe streusel cookies existed all this time and we never knew?!! 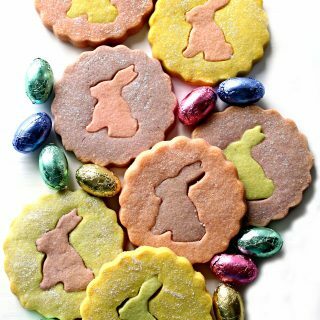 I even didn’t believe it until I had baked and eaten several batches 😉 I am pretty sure they are real, but may bake another batch or 2 soon, just to be sure. 🙂 Thanks for pinning! Wendy, these are some of the best looking cookies I’ve seen in a long time. I will definitely be trying them. I love all the ways you made them too. So creative! Thanks for the link, I agree, streusel makes everything better! p.s. love the pretty picture of you! 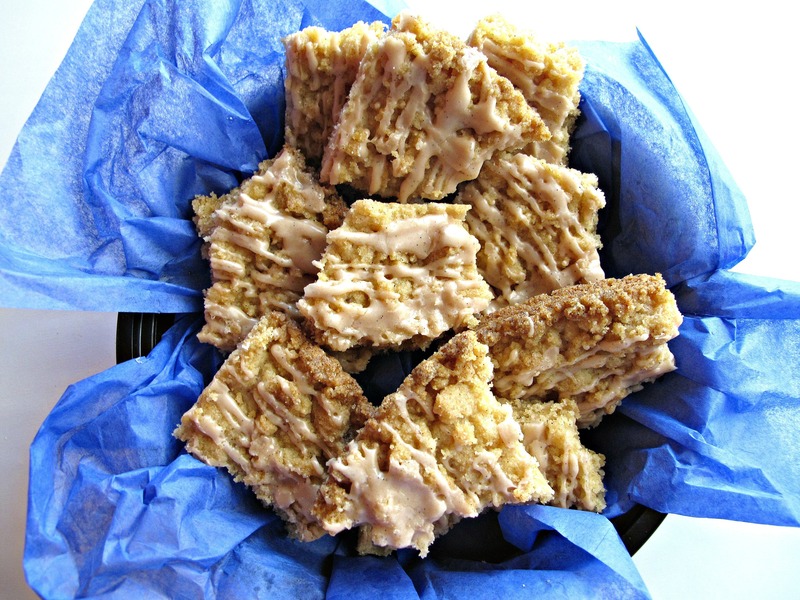 These look wonderful and you know I love a good streusel! 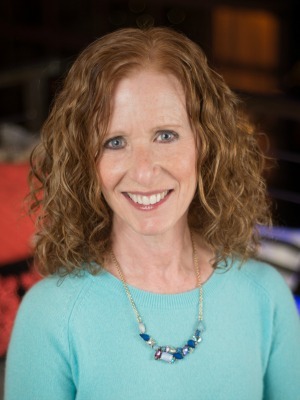 Thank you Wendy – have a great Thanksgiving! Thanks, Tricia! Streusel lovers unite! I think these would make a great Christmas cookie tray cookie because streusel IS everyone’s favorite and these can be made way ahead of time. Have a joyful Thanksgiving! Hi Wendy – now, this kind of blow my mind a little. It’s so genius! Anything with crumb topping and all anyone talks about is how great that buttery sweet topping is and how it’s the best part of the pastry! This is such a great idea and a conversation starter at that. I like how you bake some in the ring mold/cookie cutter. 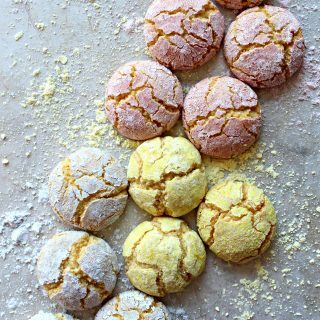 It reminds me of those beautiful cookies Dorie Greenspan is known for. And thank you for the kind mention. Have a wonderful Thanksgiving and holiday season! I agree, Monica, these cookies are REALLY wonderful because they are made of what everyone talks about; the STREUSEL. When I found the recipe, it was a major aha moment. I hope you will try them (add some of your favorite nuts, if you must 🙂 ) because I KNOW you will love these! After reading your comment, I had to go find the Dorie cookies you were referring to. Wow, yes! Jammers look a lot like these in contents as well as shape. 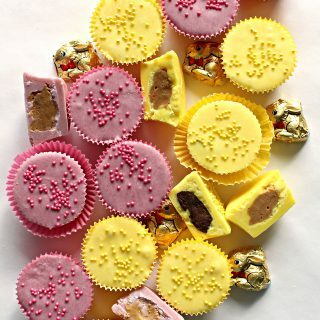 Lottie & Doof has a recipe for them that I now plan to try asap! Thanks for pointing me in that direction. Happy Thanksgiving! You mean I can just eat streusel????!!!! I don’t have to bake a cake and steal it off the top so everyone else is left wondering where the streusel went? OMG. I had no idea you could do this Wendy! I can’t tell you happy I am! 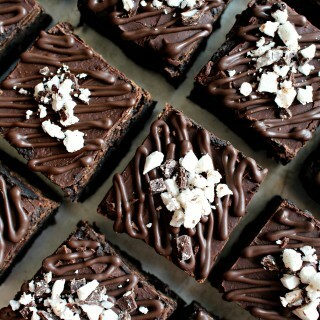 I’ll be dreaming of these tonight. Thanks for mentioning my cake! Have a Happy Thanksgiving!! Thanks, Reeni! That is EXACTLY what I said when I saw this recipe! We all bake recipes and eat the streusel off the top. Now we can leave the other desserts intact and get our streusel fix from cookies! 😉 Happy streusel cookie dreams. I hope you a great Thanksgiving! They did not turn out as struseley as i’d like them to be, but my family loved them. I am glad your family enjoyed the cookies! They are made using streusel only so I don’t know how we could make them more streusely for you. would adding more cinnamon help? Personally, I can never get enough cinnamon!? Just wondering grans of butter. My mixture was sloppy. Hi Lindy. The recipe calls for 11 tablespoons of butter which is about 156 grams of butter. 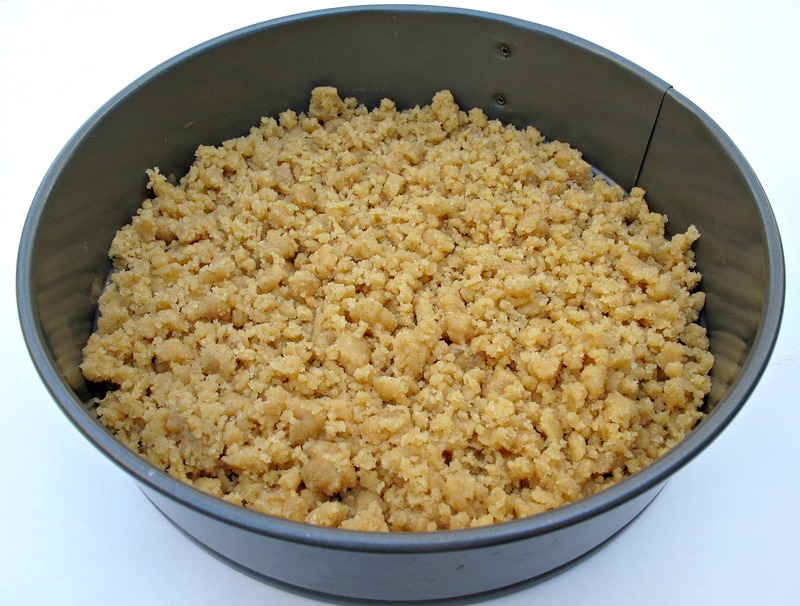 If your streusel wasn’t crumbly the measurement of your dry ingredients could be off too. I agree that it would be so much easier if all recipes were written in weight measurements, but unfortunately, most Americans don’t have kitchen scales! I hope you were able to make the needed crumbs. This is one of my favorite cookies!